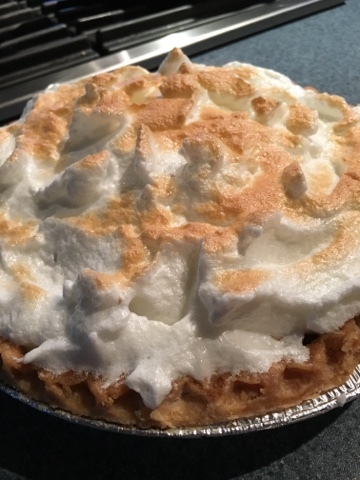 Everyone loves a great deal, and this one is amazing! For 24 hours only, new Paper Pumpkin you can receive your first-month subscription for only $5 US. That’s a crazy 75% off the regular price. 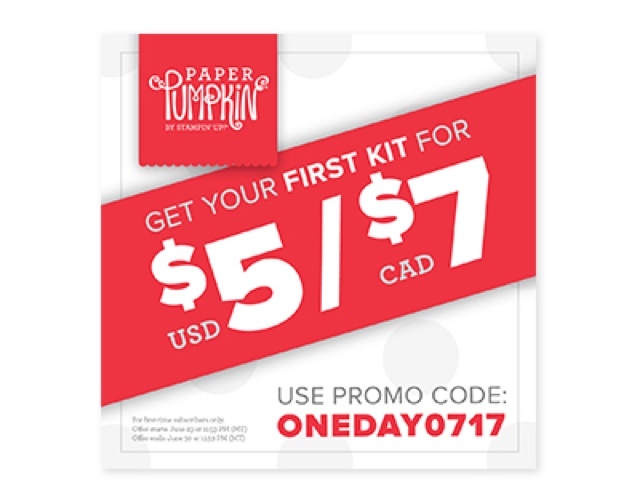 from June 29 at 11:59 PM to June 30 at 11:59 PM and use promo code ONEDAY0717 to get your first kit at this incredible price. You can keep the creativity coming after that for only $19.95 US (shipping included). This offer will be over in a flash, so act now! 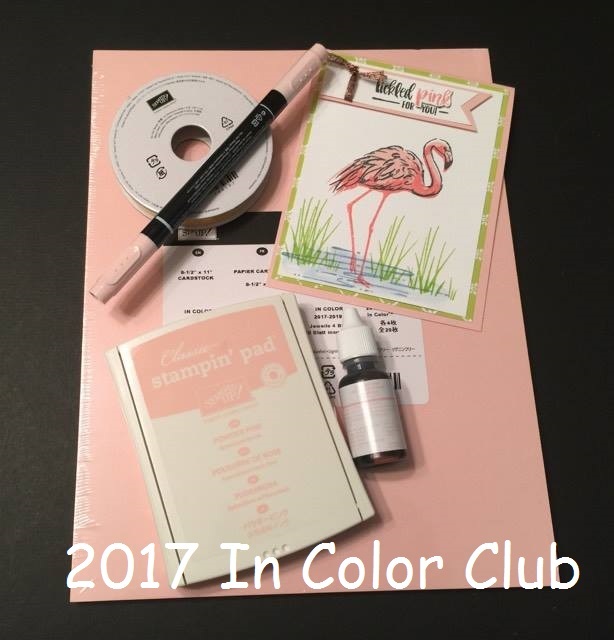 After that creativity keeps coming at $19.95 US per month (shipping included). Promotion begins on June 29 at 11:59 PM and ends on June 30 at 11:59 PM. 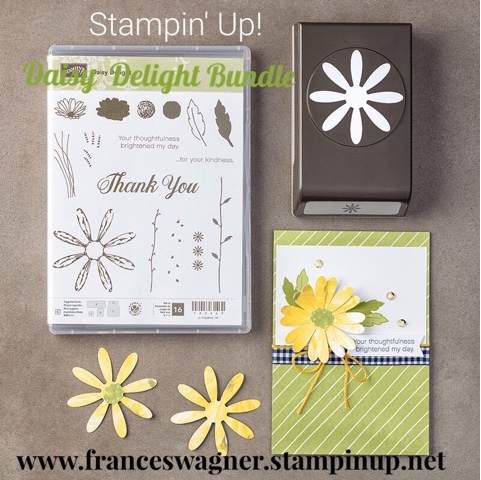 The new Stampin Up Daisy Punch and Bundle were so popular they sold out almost immediately when they were released in the new catalog. We can't keep them on the shelves! 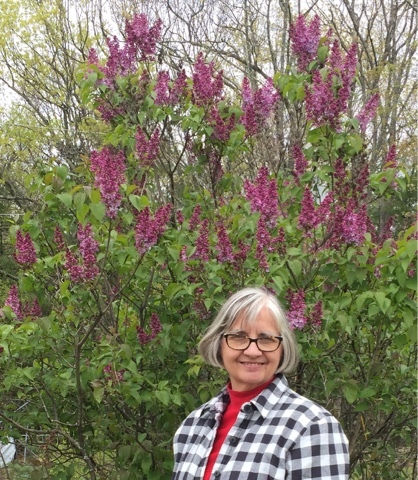 In May I took a fabulous vacation the week of Mother's Day. 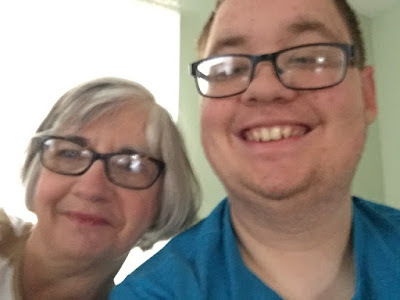 I went to visit my son Chris and grandson Jacob in New Hampshire. We were celebrating Mother's Day, Chris' birthday and my birthday. When I first arrived and Chris took me to dinner at a great Italian Restaurant called Dante's. We were so busy catching up we didn't even realized it took a long time to get our meal. I love those special moments with our children. 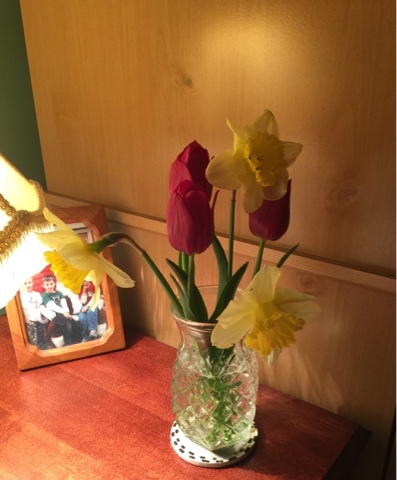 When I arrived, I found these this little vase of spring flowers (daffodils and tulips) from the yard. 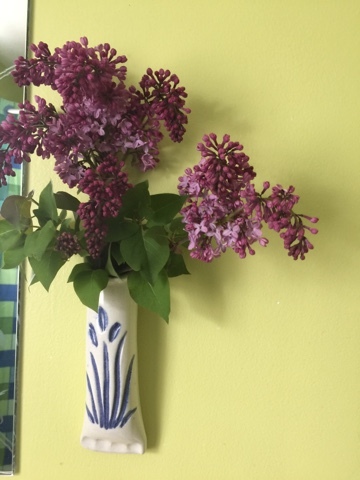 In my bathroom I found these sweet smelling lilacs. What wonderful touches. Later I found these beauties outside. 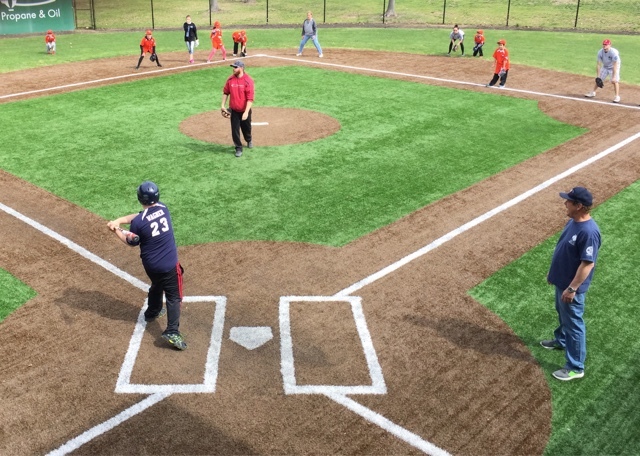 The first day we went to Jacob's Buddy Ball game which brought back fond memories on the bleachers with my own boys when they were little. 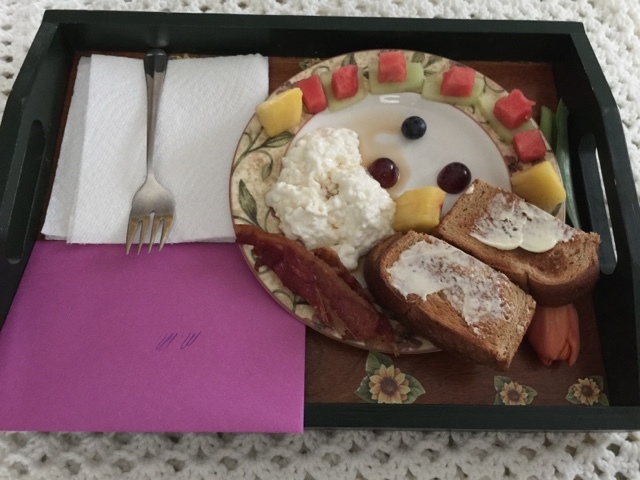 I felt pretty pampered, on Mother's day I had breakfast in bed from my grandson Jacob. What a sweet memory. 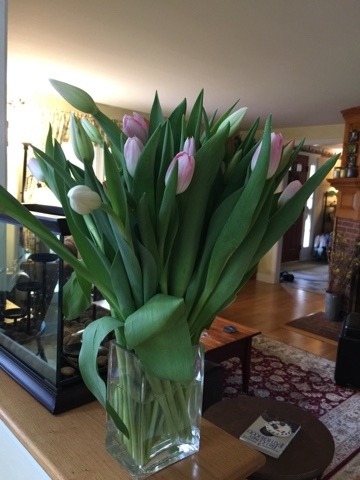 Then I received these beautiful tulips. I love tulips. 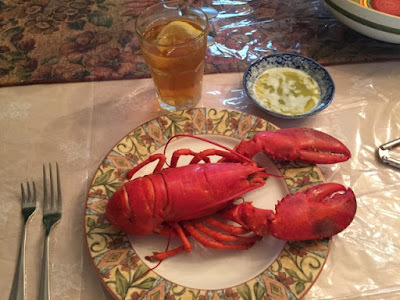 To top it off we had lobster for dinner (one of my favorites), it was a learning curve for me because I am used to eating it in a restaurant where it is usually lobster tails already prepared for you to just eat with a fork. Well that is about it for this time. 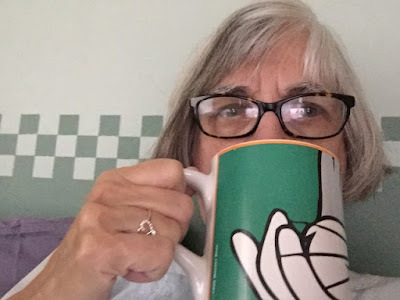 I just wanted to share a little bit about me when I am not stamping. New Catalog Starts Today!!! Plus June Special!! There are so many new ideas and you are going to love the new coordinating stamps and punches and papers. Host a party (or place an order) over $350 and get an extra $35 in hostess rewards!! Contact me to reserve your date!